Calling all wine lovers and Pacific Northwest enthusiasts! This giveaway is for you! Lonely Plant Pacific Northwest’s Best Trips Guidebook! 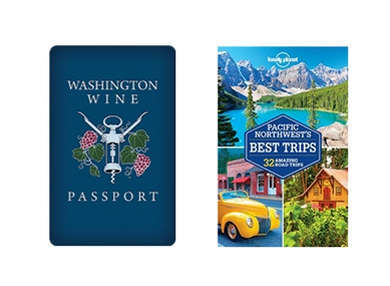 The Washington Wine Passport can be used at more than 55 wineries and includes tastings for two plus discounts on wine purchases and tours. Lonely Planet Pacific Northwest’s Best Trips features 33 road trips. 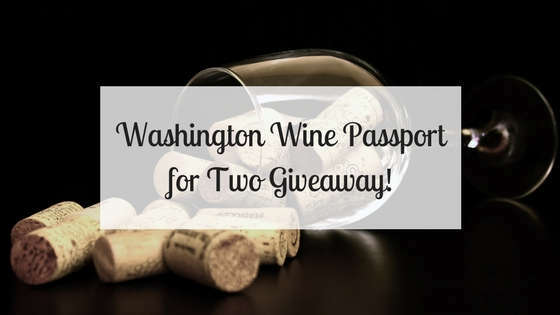 Requirements: Giveaway is for wine lovers who are 21 + and have a U.S. mailing address. By entering the giveaway you are agreeing to subscribe to Small Town Washington & Beyond and can unsubscribe at any time. Are you ready for a Pacific Northwest wine adventure? Sol, Sorry you cannot enter. They need to make shipping overseas more affordable! I can’t enter either… what’s the secret? Lois, Not sure what you mean? Are you not able to use the Rafflecopter form and enter? Or do you live outside of the US? Thank you for this great gift of adventure. Be sure to follow us as we sip our way through Washington. Suzanne, I will most certainly follow! Enjoy!